Can you survive the 20' Tsunami slide with slip and slide? Ride the wave all the way to the bottom and beyond. 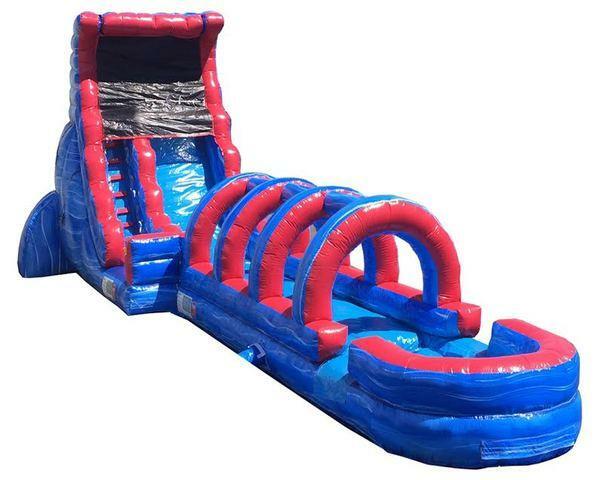 This screamer slide includes a 20'H water slide, with detachable pool, and a 27' long slip n slide. Our 20' Tsunami slide with slip and slide is made with lead free vinyl and is fire retardant, it has a safety step so that the players don't get hurt scrambling to get on to the slide and anti-jump netting at the top of the slide to prevent falls and unsafe behaviors.